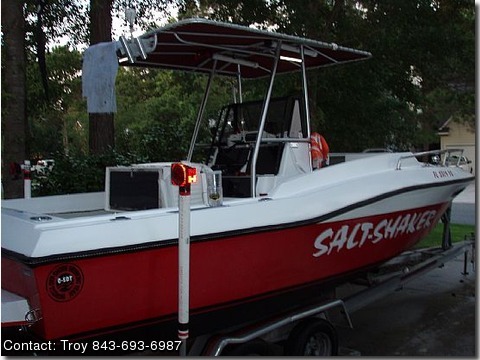 salt water series, power tilt and trim, new am/fm stereo 2003, garmin depthfinder new 2008, 2 axle trailer ez glide w/ tongue, sleeps 2, new gelcoat 2006, t-top, new antenna vhf, This is a great fishing and family boat. Dual axle aluminum E-Z-glide trailer. Huge Cooler and all coastguard regulation needs convey. I need a smaller boat will consider a trade! things I would do if I were to keep her!